can hurt as much as you. you are the best I have. Why should then the spring hesitate? Be bounded in the frozen bitter haze? The shell was just the bud the whole winter. What is new, what consumes and bursts? pain for what is closing. Oh yes it hurts when drops are falling. Hard to stay and fall. Karin Maria Boye (26 October 1900 – 24 April 1941) was a Swedish poet and novelist. Boye was born in Gothenburg (Göteborg), Sweden and moved with her family to Stockholm in 1909. She studied at Uppsala University from 1921 to 1926 and debuted in 1922 with a collection of poems, “Clouds” (Swedish: Moln). During her time in Uppsala and until 1930, Boye was a member of the Swedish Clarté League, a socialist group in those days very anti-Fascist. In 1931 Boye, together with Erik Mesterton and Josef Riwkin, founded the poetry magazine Spektrum, introducing T. S. Eliot and the Surrealists to Swedish readers. She translated many of Eliot’s works into Swedish; she and Mesterton translated “The Waste Land”. Boye is perhaps most famous for her poems, of which the most well-known ought to be “Yes, of course it hurts” (Swedish: Ja visst gör det ont) and “In motion” (I rörelse) from her collections of poems “The Hearths” (Härdarna), 1927, and “For the sake of the tree” (För trädets skull), 1935. She was also a member of the Swedish literary institution Samfundet De Nio (chair number 6) from 1931 until her death in 1941. Boye’s novel “Crisis” (Kris) depicts her religious crisis and lesbianism. In her novels “Merit awakens” (Merit vaknar) and “Too little” (För lite) she explores male and female role-playing. 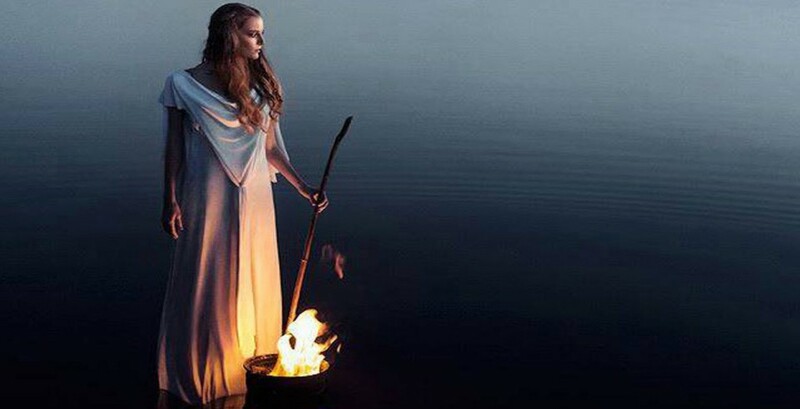 Outside Sweden, her best-known work is probably the novel Kallocain. Inspired by her visit to the Soviet Union in 1928 and her visit to Germany during the rise of Nazism, it was a portrayal of a dystopian society in the vein of George Orwell’s Nineteen Eighty-Four and Aldous Huxley’s Brave New World (though written almost a decade before Orwell’s magnum opus). In the novel, an idealistic scientist named Leo Kall invents Kallocain, a kind of truth serum. The novel was filmed in Sweden in 1981 and was the main influence on the movie Equilibrium. Between 1929 and 1932 Boye was married to another Clarté member, Leif Björck. The marriage was apparently a friendship union. 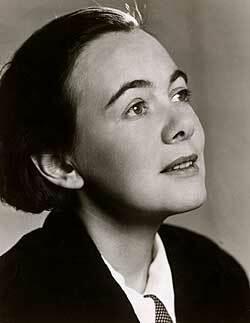 In 1932, after separating from her husband, she had a lesbian relationship with Gunnel Bergström, who left her husband, poet Gunnar Ekelöf, for Boye. During a stay in Berlin 1932-1933 she met Margot Hanel, whom she lived with for the rest of her life, and referred to as “her wife”. Boye died in an apparent suicide when swallowing sleeping pills after leaving home on 23 April 1941. She was found, according to the police report at the Regional Archives in Gothenburg, on 27 April, curled up at a boulder on a hill with a view just north of Alingsås, near Bolltorpsvägen, by a farmer who was going for a walk. The boulder is now a memorial stone. Margot Hanel committed suicide shortly thereafter. Karin Boye was given two very different epitaphs. The best-known is the poem “Dead Amazon” (Död amazon) by Hjalmar Gullberg, in which she is depicted as “Very dark and with large eyes”. Another poem was written by her close friend Ebbe Linde and is entitled “Dead friend” (Död kamrat). Here, she is depicted not as a heroic Amazon but as an ordinary human, small and grey in death, released from battles and pain. From her poetry collection “For the sake of the Tree” I have translated two poems. To all readers of poetry. “Oh yes it hurts when drops are falling.